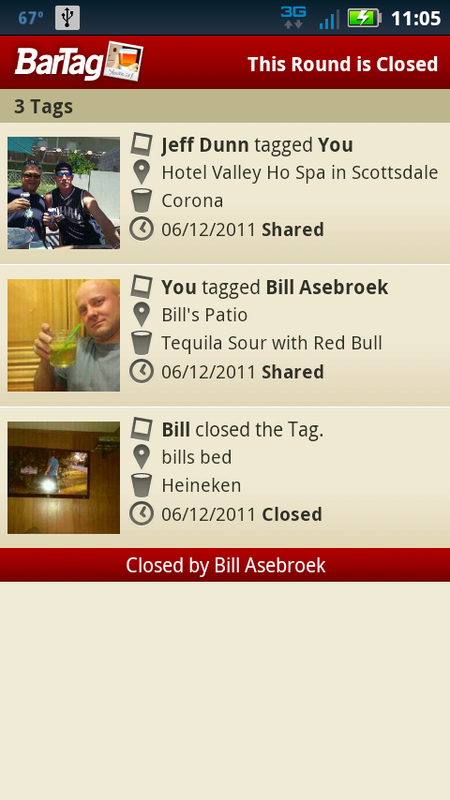 The crazy new mobile drinking game for Android! 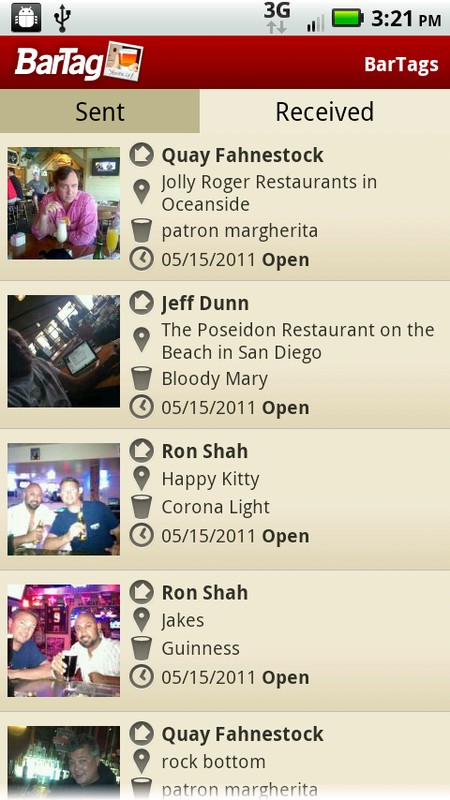 Download BarTag from the Android Market and start BarTagging! 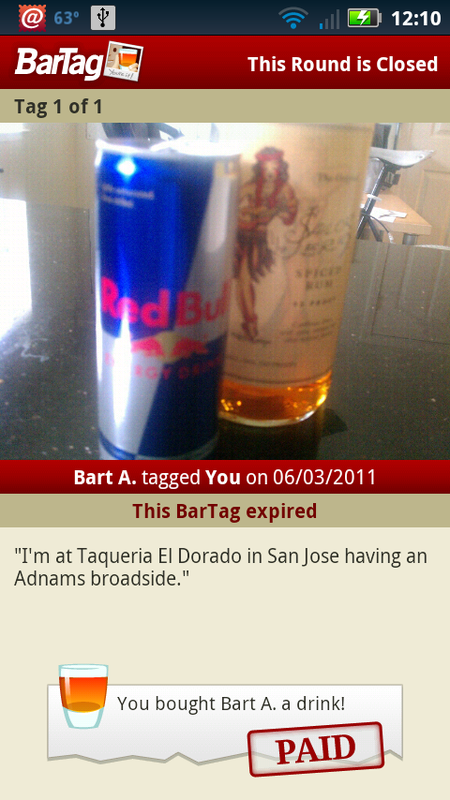 A BarTag is a message sent to a friend that contains the name of a bar, a drink, and a Proof of Life photo. You can also include a personal message. 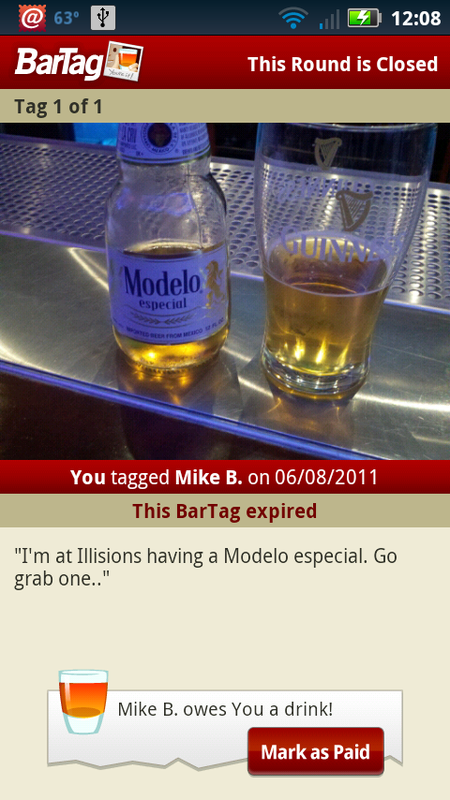 Send a BarTag to a friend and he or she will have 24 hours to send one back or owe you a drink! 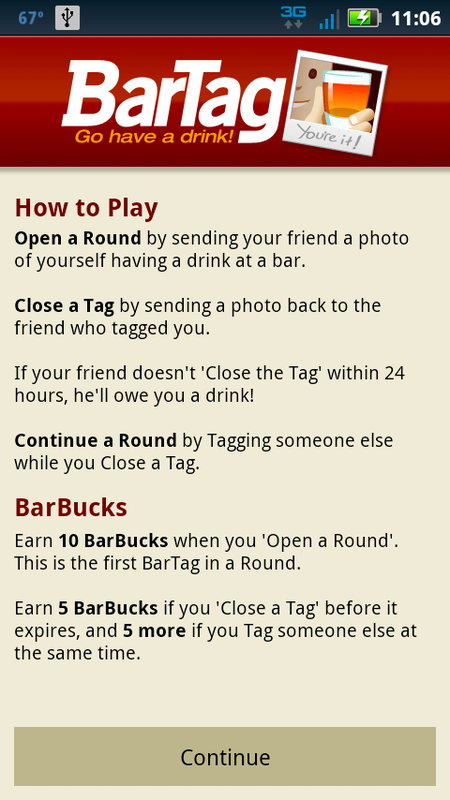 After closing a BarTag, a player can Continue the Round by sharing the BarTag with another friend. BarTag is played in Rounds. 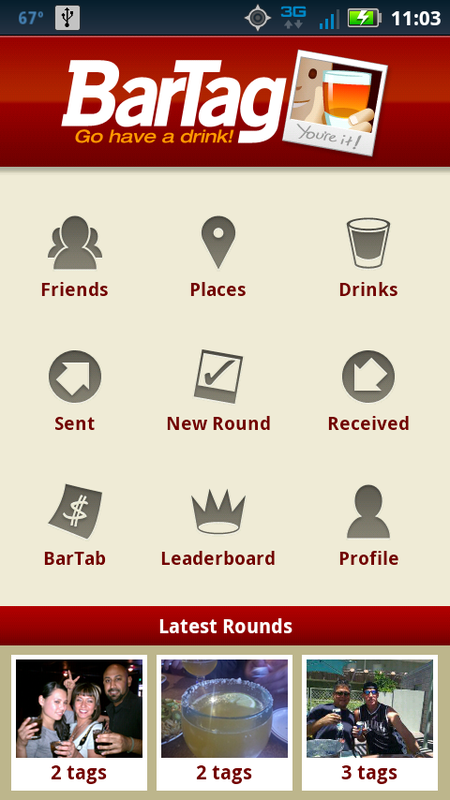 You Open a Round by sending a BarTag to a friend, and Continue a Round while closing a BarTag you’ve received. A Round closes when the last player lets thier BarTag expire. 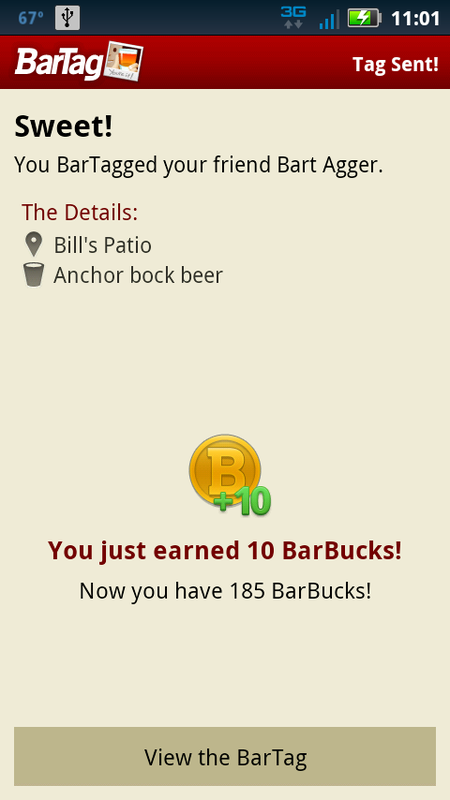 A Round of BarTag could grow to a hundred or more drinks by the time it closes. Don't end up being the wet blanket! 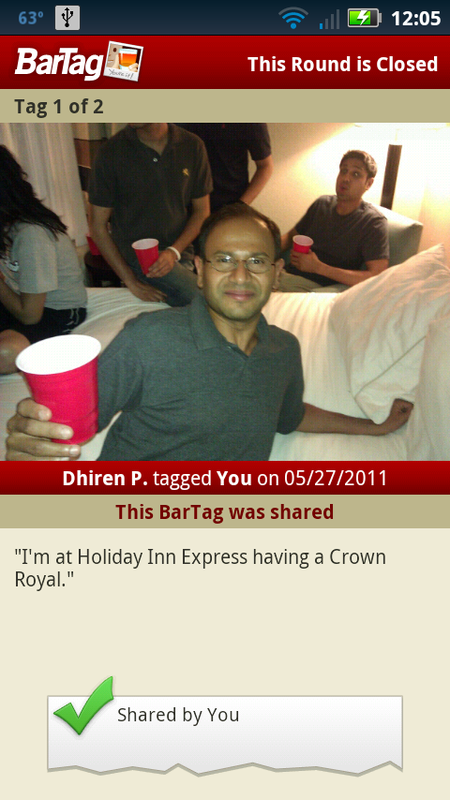 Your Proof of Life is something that identifies you in the BarTag photo. 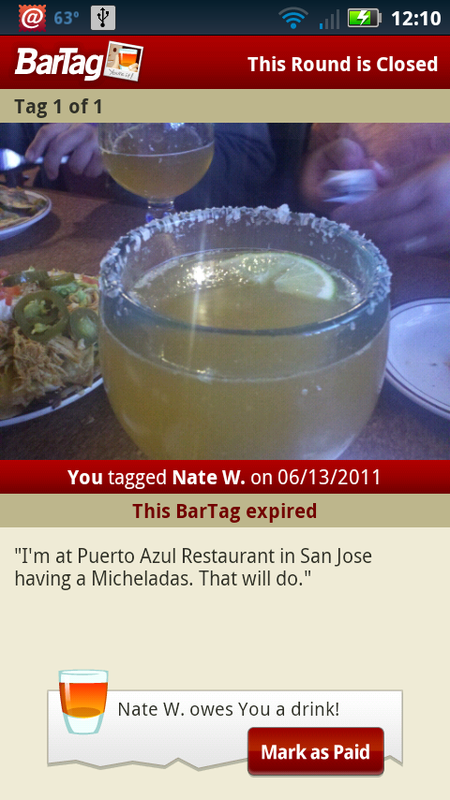 Be creative but consistent when using your Proof of Life in a BarTag. Include your favorite piece of jewelry, flare, or tattoo as a “trademark” in your BarTag. And yes, you can include other people in the photo. 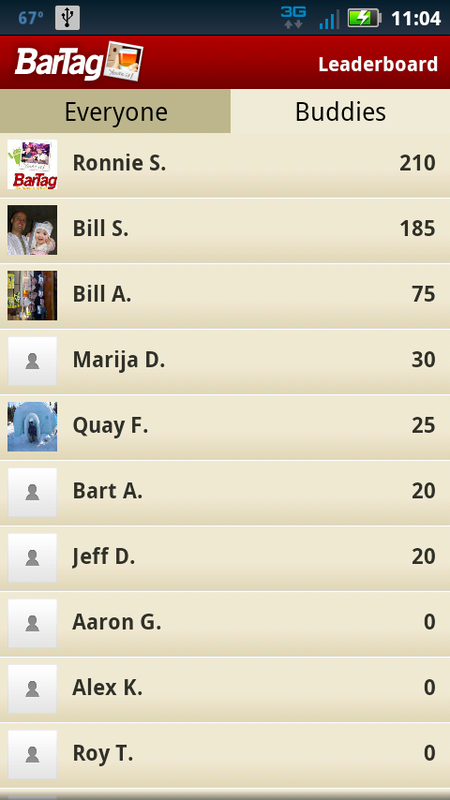 BarTag is all about socialising and having fun! 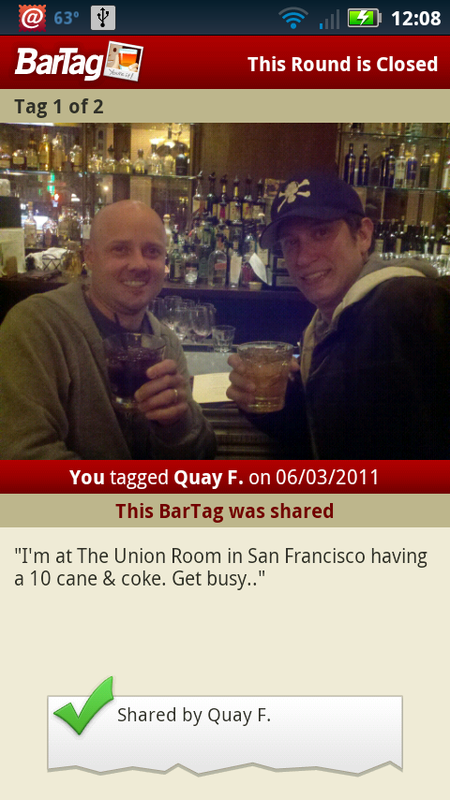 Hand your phone to a stranger and ask him or her to take your photo so you can BarTag your friend. It’s an instant conversation starter, and for all you single people out there, it’s probably the best pick up line you’ll use all night! So get out of the dorm, house, office, wherever and go have a drink! Checkout our BarTag Band of the Month… Fruition on Facebook!